This 4-bedroom duplex penthouse offers lots of space and brightness. It has been completely renovated and decorated by the famous interior designer Pedro Peña. 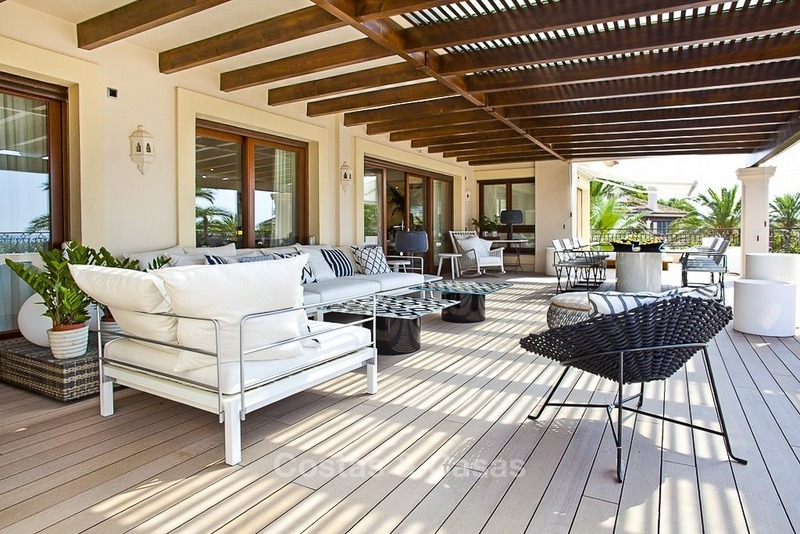 Pergola-covered main terrace with a Balinese look and feel of about 140m2. It is divided into several areas for living, eating, relaxing and sunbathing. A private lift takes you directly into the elegant hall. Fully renovated designer kitchen by Boffi, with direct access to a terrace and a storage room. On the ground floor there are 2 further bedrooms, both en-suite, including the master bedroom with double size dressing area and direct access to the terrace. The upper floor comprises 2 bedrooms and 2 bathrooms, of which 1 ensuite. Both have access to a private terrace. 2 underground parking spaces can accommodate 6 cars. 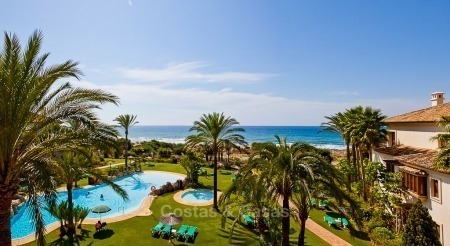 Direct access to the best beaches of Marbella. 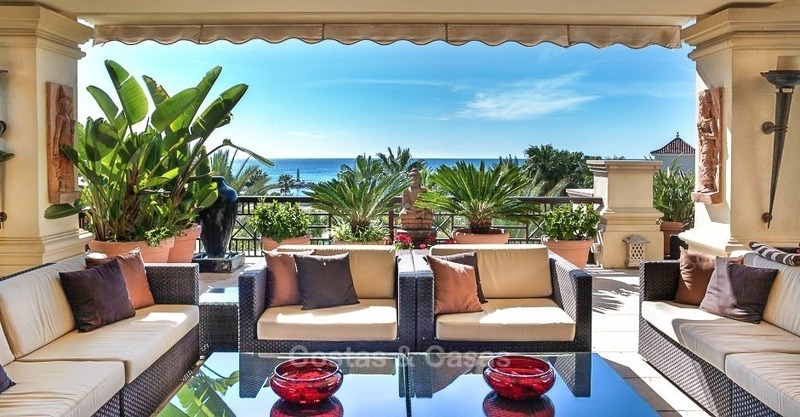 Just a few kms from Marbella town centre and La Cañada shopping centre. 3 golf courses and a tennis club less than 1 km away. Los Monteros hotel, La Cabane beach club and several beach restaurants within walking distance. Main hospital, international schools and supermarkets within a few kms. Attractive subtropical gardens and large swimming pool. Preliminary photographs pending higher resolution photographs. We have access to all apartments and penthouses for sale in this complex. Please do not hesitate to contact us for more information.